Essex County Council scoops two gongs and Bernard Matthews' bootiful' ads return. 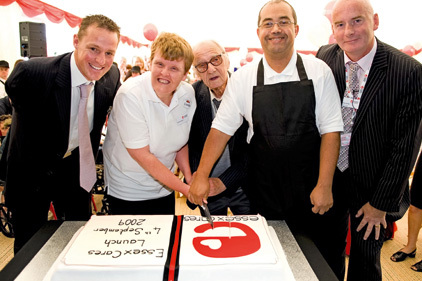 In July 2009, Essex County Council transferred adult social services to a local authority trading company called Essex Cares. The comms team was given the task of communicating the scale of the project and helping the media understand the story. A launch event was held and attended by service users, journalists, council staff and Essex Cares staff. Paralympic gold medallist Danny Crates was chosen as a speaker for the event. In total, more than 300 people attended the event. Articles appeared in Community Care, Community Matters and the Local Government Chronicle, and on regional TV and radio. The phrase 'bootiful' is synonymous with the Bernard Matthews brand and with Norfolk. Shorthose Russell and the Bernard Matthews team ran an integrated campaign to support a new generation of 'bootiful' TV advertising campaigns for 2010. Activity included radio advertising, sponsoring the scoreboard at Norwich City Football Club's ground, a microsite, photography and an internal stakeholder campaign. NORCAS is East Anglia's largest independent charity supporting people affected by alcohol, drugs and gambling. The charity relaunched with brand and structural changes, and enlisted Pinstripe PR's help to communicate the relaunch as a positive new start. Through media relations, a launch event, images, statistics and internal comms, the PR team generated 29 pieces of media coverage. Calls to the charity increased 38 per cent and 97 per cent of staff said they were proud to work for NORCAS. The council's PR team was asked to help generate publicity for the 2010 Essex Book Festival. The PR team pulled together media partners and updated the media regularly with information and images. A launch event was held with best-selling authors in attendance. The campaign generated 172 articles across the media and the festival increased ticket sales and had more sell-out events than the previous year.